OT Trying to refer a friend to the SPG card from my Plat but the only cards showing for the friend to choose from even when clicking “view other cards” is the Gold & Plat. you’re right I just tested my link and it only lets you refer within the ‘family’ Rob any news on this? Oh yes …. Just checked a BA, Gold and SPG link and you can no longer cross-refer outside the same family. Nooooooooooooooooooooooooooo that’s a major devaluation of the new referral setup, was so good 🙁 Have you heard this as an official change, Rob, or is it just an IT glitch? That’s annoying – just when I thought holding a Platinum card would work for me long term they change this. Bye bye Platinum! that is most hfpers churn strategy out the window then. back to the drawing board. Need to think about what to do with mine. Have 10 flights scheduled till year end, all outbounds ex-LGW. First one is at the end of this month, if we like the Granary Store I may keep it for 6 months. I’m sure we can work it out. Still a generous scheme – might have been slightly too generous but if you now can’t go direct, go round the sides! Oh no, I just came here to read the comments if someone else also had that. I’m going to hold it until the merge and see if that changes by any chance. Bit annoying that I spent 15k to get Spg/Marriot Gold just for the lounge/breakfast and now they do us over on the benefits. Us too. Hope the so called resort fee charged in Hawaii includes breakfast, as we won’t get that now with our Gold. Shame really. One of the main reasons to transfer to spg then marriot. Annoying to say the least. Have you sent your feedback to Marriott? – Might be worth a shot, i mean they upgraded a load of people on the Plat challenge pretty easily! 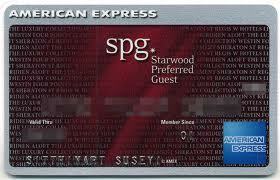 Apologies if I’ve missed posts on this due to being on holiday, but my SPG AMEX credit card account (which I took out a few months ago) shows a balance of 0 and it had about 12000 points and I can’t log onto my SPG account as it says it has been merged to another one and I should log onto that account..but I don’t have an alternative account…. I know amex have suspended transfers but it’s showing as 0. There’s currently a 25% bonus when you convert 20k SPG into miles. Does anyone know if this will stick under the new scheme? i.e. will 60,000 Marriott points still convert into 20k base + 5k bonus Avios? Yes it will, already confirmed. Interestingly I logged in to my Amex account and noticed the referral bonus from SPG Amex is now 9,000 POINTS, not the 5,000 STARPOINTS it used to be. The referral lands on a page only for the spg card (no alternative cards given), with a bonus of 33,000 points for those referred (i.e. The same as 11,000 starpoints), 3 points/£, but no mention of the SPG gold or free benefits). That’s a blow; it should be 15,000 points. Looking on the AMEX website. It says double points on Marriott hotel spend until 31 December 2019. Is this new (or a typo)? Previously, I’ve only seen this confirmed until end of 2018 and it would imply the card is going to continue at least throughout 2019. May close to new applicants earlier …. although absolutely no proof of this to be clear. 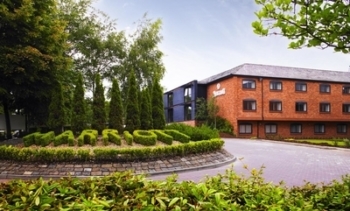 3) £25k spend to get a free night at hotels that will usually cost between £60-£110 if booked in advance. Rob – Is there any news on the relaunch of UK Marriott credit card? close it and save yourself the annual fee, no need to keep it. No, but the old version which I still have gave 10 nights credit so I expect that to continue. Obviously I’m sure Rob is correct but on the current amex website there is mention of free night but the link does not give any reference to 25k points? It was on statements last month for existing cardholders as well as being in the document I got from Amex yesterday. I also spotted that and I need to raise it with Amex as it is clearly going to lead to complaints down the line. O/T Can anybody advise how I convert AMEX points to Aeroplan or an equivalent to let me book Air Canada flights? Thanks. Those internal flights arn’t looking so cheap at that conversion. I think you convert to Singapore’s Krisflyer and do it that way. 1MR = 1 Krisflyer point. Please note that because of technical issues you may see a delay in receiving your Points, Awards and Status upgrades in your Starwood Preferred Guest Loyalty Account until mid September. If you have any questions please call the American Express phone number on the back of your Card. Still haven’t had a response to the case they opened for me but I guess this is why. Wanted to cancel & line up one more churn (hopefully) before its pulled.. But gotta wait for my 12k points now..
Yeah just saw that message too – mid-September is way longer than I expected, esp with Membership Rewards transfers due to be back up in a few weeks. I couldn’t cancel a week ago as my sign-up bonus hadn’t moved across. Thought I therefore may as well chuck more spend on it but now those points are stuck if I can’t close it for another month and a half, don’t really want to be paying the fee for longer than necessary. Might try calling them and see if they could put equivalent number of points on Plat a/c (or at least see if they offer double-points rate for retention which would make it more worthwhile keeping). Oh well. Will keep my mrs’ spg, wait till Oct, refer me, use all my Amex in the shop small promotion and then cancel the spgs and plats. you can upgrade your room using points. I did it in June. Phone SPG if no availability or you would like a better room. Went from Traditional Room to Deluxe Room & my Elite part of my status gave me another upgrade to Grand Deluxe.